On my recent vacation I had cause to use Ryanair for the first time ever. Here was an opportunity to be impressed. Now one may think that you pay for what you get with a low cost airline such as Ryanair, but really...has it come to this? I did not expect the frills and the pomp and ceremony, but I did not expect what I got either. 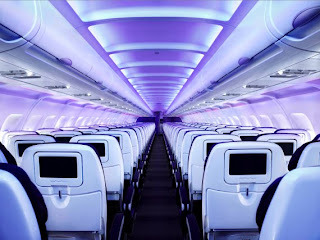 The check-in process was terrifyingly bad, long and torturous, and then of course, how can we forget on the in-flight antics. For the entire 2 hour flight, Ryanair hawked Ryanair related products and specials and while I recognise they have to make a buck somewhere, should it really be to the detriment of passengers? It was unbearable. It was non-stop promotion and if you were on the brink of a meltdown, this would have sent you over the edge. I think the opportunity is there to stand out not just for less expensive fares, but also for great service and great value for money. I also think that while Ryanair's profits may be soaring and they are doing well financially, the total lack of frills experience may not be able to sustain them forever. Customers loyalty is not born out of financial competitiveness, but it also comes from a deeper emotional place, where the individual can articulate his or her experience with a brand into loyalty and ultimately consumerism. I would probably use Ryanair again, for the cost benefits, in a peak period. But I don't foresee myself becoming a Ryanair groupie. How then will the Ryanair brand grow without that deep emotional, experiential connection between itself and its customers? My experiential connection is certainly not a good one. And let's face facts, if and when the economic environment improves, would customers be willing to put up with no-frills service to save a couple dollars, if there were other options available? Would you? And would airlines such as Ryanair be in a position, where they have cemented their brand in the no-frills niche, to up the ante in terms of their customer service without a substantial economic impact on the company or on customers' pockets, which have grown accustomed to lower than normal fares? My BFF is part of a great initiative in Tobago, which is aimed at reducing the stray animal population in the sister isle of Tobago, and promote animal welfare on the island. It is always such a big thing for me more as a Trini, and not so much as a huge, gooey dog lover myself (I cannot see a dog and pass it straight), to travel and see animals treated well - I mean beyond the normal boundaries of animal wellness. lol. I love my cousin's neighbour's dog, a West Highland White Terrier named Womble, who is such a little star and is so loved and so spoilt by his owners. My own mongrels get the sort of love and care that Trinidad terriers aka pot hounds aka mongrels rarely get here because of their inferior status in the Trini dog world. Yet so many animals do not get to enjoy this type of love and comfort, but are forced to make it on their own on the streets, diseased, hungry and dying. Mongrel or not, I really cannot stand to see an animal mistreated or abandoned. They give such unconditional love and such joy to so many, that the ones who are left out on the street through owner abandonment, lack of proper spaying practices or just neglect really tug at heart strings (unless they try to bite me as I work out in the village). So the Village-to-Village programme is really aimed at addressing some of these concerns, primarily the spaying and neutering of animals to reduce the large number of strays on the streets and highways, who become roadkill, or are abused by evil human beings. The aim is to neuter between 65%-75% of stray, and owned doggies and kitties in Tobago and increase awareness of such techniques among the local population. The great thing about the programme is that it addresses the problem in the rural communities, where one may not have access to veterinary care and where pet owners or concerned residents just cannot afford or will find it impractical to spay or neuter their animals. The programme makes such a service available, at no cost, and is managed by veterinarians and persons very much experienced and committed to the cause. 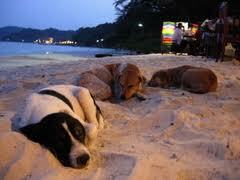 Stray and unrestrained dogs and cats especially in Tobago negatively impact the tourism industry. The ...health status of a destination's stray animal population directly affects the image of the destination as a tourism product. While the local population is often accustomed to the sight of suffering or dead animals, international visitors often react negatively. 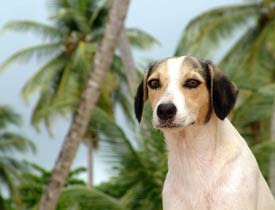 (Furthermore) Tobago's stray dog population is evident on coastal recreational beaches and throughout the villages along the coast. Not the best thing for the tourism product or the island's marketing potential is it? Additionally, I recognise that those visit our shores are coming from places where the dog, for example is King or Queen. Walk through Paris and you will see couture stores for pets, with couture outfits and accessories. I have sat on many a train in London with a big slobbering love of a dog taking a trip into the city with his owner. These are the people who come down to Tobago for rest and relaxation. Europeans especially really care for their animals in a way that many locals are not accustomed to. Pet friendly hotels, restuarants etc are just part of the larger picture of excellent animal care and treatment in many countries and are part of an animal friendly tourism product. It would certainly augur well for our brand to work towards improving our image where animal care and treatment are concerned, if even we just simply take better care of our pet population. 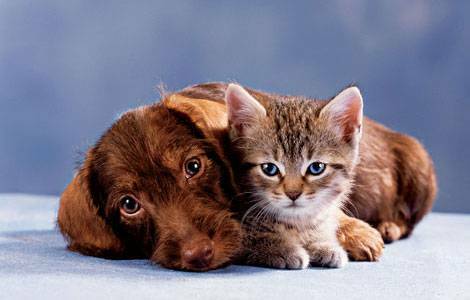 There will be two rural outreach clinics to spay and neuter approximately 150 animals in Charlotteville and Bacolet, Tobago from Sept 3-5, 2010.